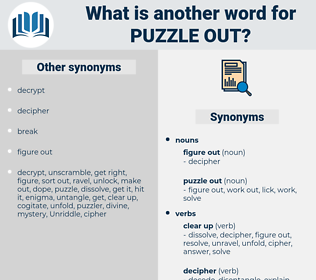 What is another word for puzzle out? 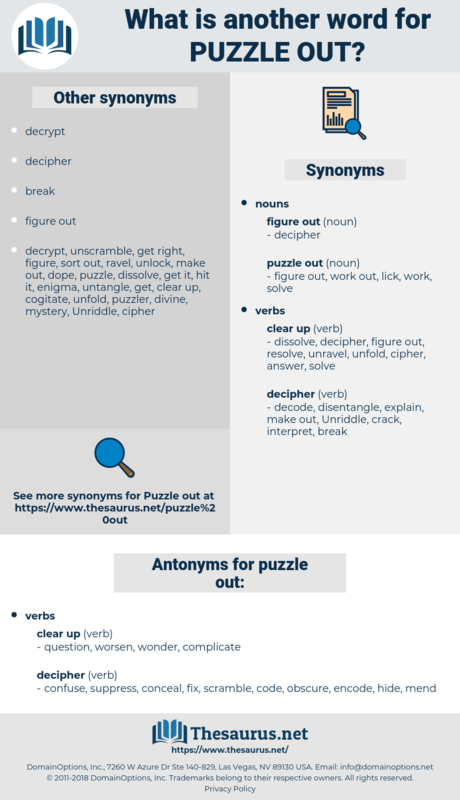 confuse, suppress, conceal, fix, scramble, code, obscure, encode, hide, mend. fail, put off, destroy, lose, undo, defer, pass, idle, miss, neglect. waver, tangle, unsettle, ignore, start, begin, twist, disbelieve, misunderstand, guess, overlook, estimate. hesitate, forget, join, mull, refuse, put together, fasten, assemble, oppose.